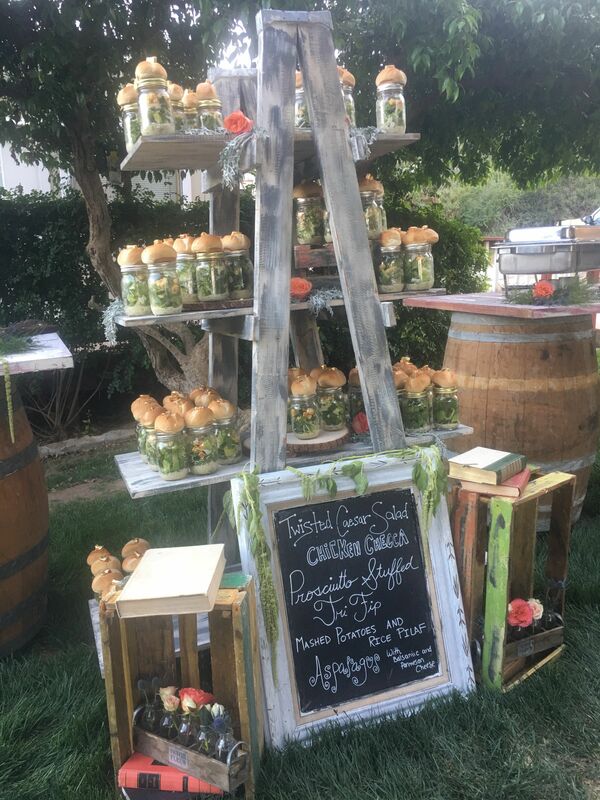 How about this creative way to display salads at your next catered wedding in san diego county or south orange county. No better way then in mason jars and placed decoratively on a hand painted rustic ladder with vintage accents. Contact us and let us help you bring your wedding or special event to life.